Dress Code features newly commissioned work by Hannah Gartside, Emily McGuire and Grace Lillian Lee. The new works extend each of the artists’ ongoing investigations of collaboration, consumerism and identity within the context of fashion through artwork, installation and photography. The exhibition will also showcase signature works from Gerwyn Davies’ decade-long career, alongside an installation by Lisa Hilli. Gerwyn will be Artist-in-Residence at the Museum from 29 October to 23 November 2018. 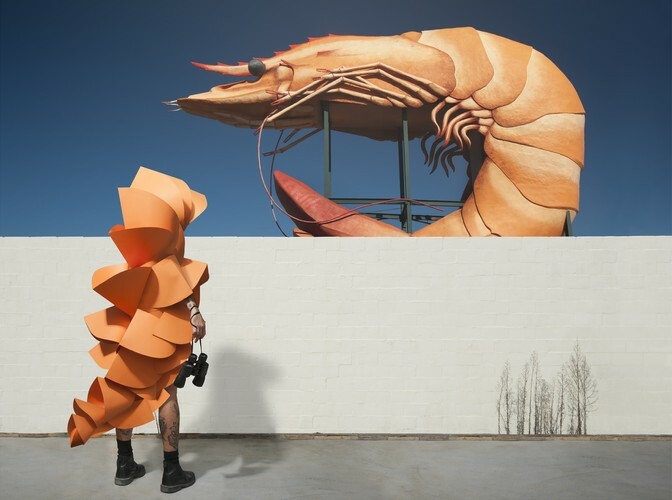 During his residency he will create a series of costume and still-life photographic works in response to the Museum of Brisbane Collection. Visitors are encouraged to engage with Gerwyn, to debate and discuss the social and cultural dimensions of fashion and identity. Dress Code is part of the Museum’s celebration of art, fashion, culture this summer, complementing our major exhibition The Designers’ Guide: Easton Pearson Archive by revealing how contemporary designers and artists are responding to topics of slow fashion, ethical collaboration and sustainability.